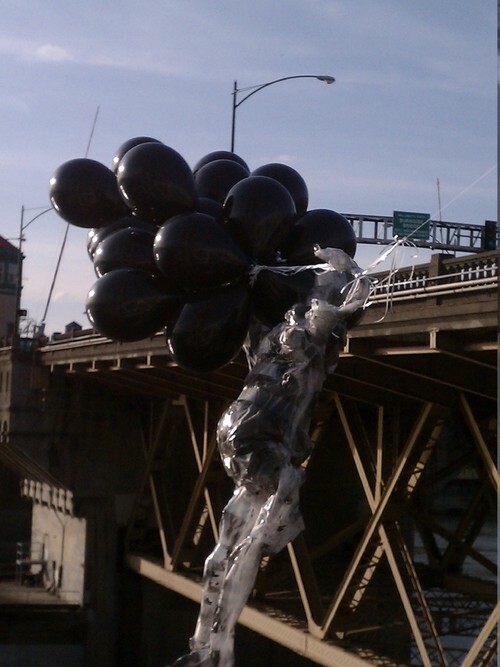 Walking yesterday the sight of a balloon art installation tethered to a stairway off the Burnside Bridge caught my eye. Caught about 4-5 peoples' eyes. Snapped some photos. Within an hour the balloon man was gone. Was the artist/perpetrator among the people snapping photos, taking photos of people taking photos? Didn't much care. If so, give them their moment. This was interesting.